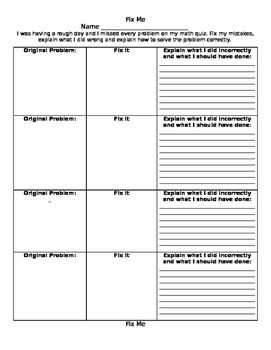 This is a great resource for helping kids learn to be critical thinkers, to search for mistakes, and to explain their thinking. 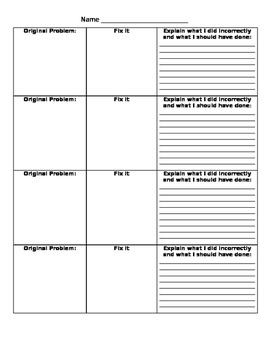 Use this blank format to write in any problems and solve them incorrectly. The kids will then have to find your mistake, fix it, and explain what you did incorrectly and what you should do next time! This is a great way to increase the rigor of your classroom!